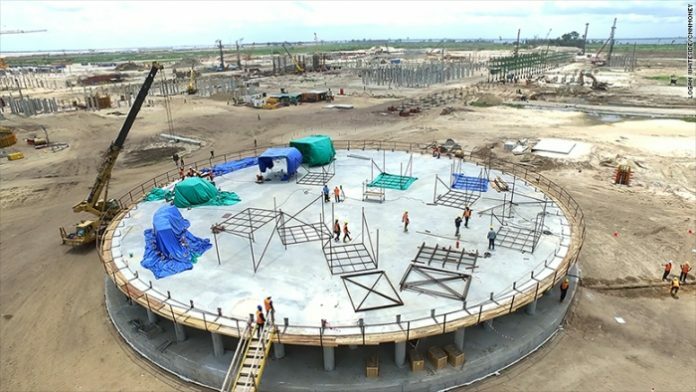 The Wema bank in partnership with three other private companies, Ajayi Legal Partner, Hyundai and Petrolex Oil and Gas have signed a deal with the Ogun State Government to construct a mega oil refinery in Nigeria and the largest petroleum product depot. Set to be the second largest refinery in sub Saharan Africa, the mega oil refinery in Nigeria will be financed by Wema bank and will be located in Odognolu Local Government Area of the country. Speaking in the signing ceremony Mr. Segnun Adebutu, Chairman at the Petrolex Group said that the projects are expected to generate about 2000 jobs and significantly advance the socio –economic condition of the host state. He added that the Government had continued to provide a conducive environment for viable investments. Head of Corporate Banking at Wema Bank, Mr. Henry Alakhume “The Bank is thrilled to support Petrolex Group in the refinery and petroleum depot project. We believe this will significantly advance Nigeria’s economy and create much needed jobs,” said Alakhume. Also commenting on the project, Ogun State Governor, Mr. Ibikunle Amosun, guaranteed Wema Bank and members of the consortium of his administration’s dedication to fully support the project. The project has been lauded with many people especially the Ogun state Governor, Mr.Amosun said that this investment will truly support the dreams, goals and economic force of the current administration in the state. Apart from funding this project Wema bank also recently supported the Lagos State Government and the Justice Research Institute with about US$ 63,000 to deliver high-end archiving services intended to positively change the record management of the Lagos state High court.